"Babylon-5 DVDs" compared to "Star Trek Remastered"
This web-page has been offline for a number of years because I ran out of disk space at my old hosting my old site. In 2017, I moved to a new location with more disk space so I revived this page. I no longer believe that we will ever see Babylon-5 reissued in hi-definition so I leave you with this page as a tribute site for one of the greatest sci-fi stories ever shown on TV or movie screens. Better than the Star Wars (although I am fond of episodes 1-2-3 with Princess Amidala) and better than all Star Trek movies (including the series reboot called JJ-Trek) and you are hearing this from a serious Treker. I just (September-2009) finished watching all five seasons of the 2009 DVD release of Babylon 5: The Complete Seasons 1-5 (2009) (ASIN: B002DUJ9Q6) on a 61-inch JVC digital TV and discovered that these 2009 DVD discs seem not much better than the 2004 release. Probably due to the high level of MPEG-2 compression, these DVD discs looked slightly better when played on a standard-def Sony DVD player than a high-def up-converting Sony Blu-ray player or a high-def up-converting Toshiba HD-DVD player. I suspect this may be because 2004/2009 Babylon 5 DVD episodes were written to the DVDs in 480i (interlaced) format rather than 480p (progressive) format. To be fair, the 480i disks are still quite beautiful when played on a PC connected to a 19" LCD monitor. Warner Bros. should publish Babylon-5 in high-definition on Blu-ray using 1080i or 1080p. Since all episodes were recorded on film (1.65:1) in anticipation of high-definition Television (1.78:1), this should not be a major problem. p.s. CGI shots were not recorded on film because, at the time, producers thought it would be easier, and cheaper, to recreate special effects on future computer equipment. This assumption turned out to be wrong. Oops! I just (2009-10-24) noticed that Amazon.com appears to be soliciting customer interest in a Babylon-5 Blu-ray release. According to producer J. Michael Straczynski, as of mid-2006 "The DVD sales have raised over $500 million in revenue". 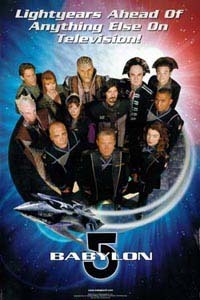 The financial success of the DVD box sets has led to a renewed interest in further Babylon-5 work. Think of it, a half billion dollars in net revenue. "Babylon-5 DVD" compared to "Star Trek Remastered"
As an aside, the remastered release of Star Trek: The Original Series (ST:TOS) uses eight DVDs per season or seven Blu-Ray disks per season. These Babylon-5 disks only use six DVDs per season -AND- also contain extra material including commentary. Now consider the fact that Star Trek was originally produced for 1960's TV in a 4x3 frame whilst Babylon-5 was produced for mid 1990's TV in a 16x9 frame then broadcast in a letterbox format. It should be much easier to release Babylon-5 in high-def on Blu-ray since there is more original material to work with. only contains the 2-d movie with some basic search/bookmarking features and subtitles. There is no commentary, no trailers, no previews, no annoying advertisements that play before the movie starts. James Cameron did it this way so he could do a DVD release using the least amount of digital compression. Most non-technical people are surprised to learn that shuttered 3d goggles where first appeared in the mid-1980s for UNIX workstations. At that time this niche technology was only used by organizations with big budgets like NASA, the aviation industry, and Hollywood. Sun Microsystems was able to corner support for this technology by creating a 3d API for their Java language. For the past 5-years NASA people at JPL have used 3-d goggles every day to plan trajectory changes for the MARS rover missions. If you are playing discs in a stand-alone player, poke around at some of the extra keys to see it anything special comes up. For example, when playing DVDs in a PS3 (PlayStation 3), press the small button under the red key of the PS3-remote to see encoding values as well as video bit rates. You will see the CODEC Type (eg. MPEG-2) but not other stuff like the frames-per-second (FPS) etc. If you've got a Windows-based PC and are using video player software like Nero ShowTime or PowerDVD or VLC then you already have access to some non-expert tools for further poking and hacking. For example, under Nero ShowTime you can enable the OSD (On Screen Display) to view technical parameters like frame format (e.g. 720x480), frames per second (FPS), encoding methods (e.g. MPEG, MPEG-2, MPEG-4, MPEG/AVC, VC1, AVC), etc. Some programs will actually display the phrases "480i" or "480p" while others will display phrases like "video mode: interlaced" or "video mode: progressive". Classic science fiction is about to return to the big screen, this time it is EE Doc Smith's classic “Lensman” that is getting the 21st century treatment, although it has to be said sometimes those classic black and white features from the forties do have a certain style to them. how Paramount is a better company than Warner Bros.
how PTEN supported then hurt B5. how Michael was exchanged for Bruce and why this wasn't part of the original 5-year story arc. 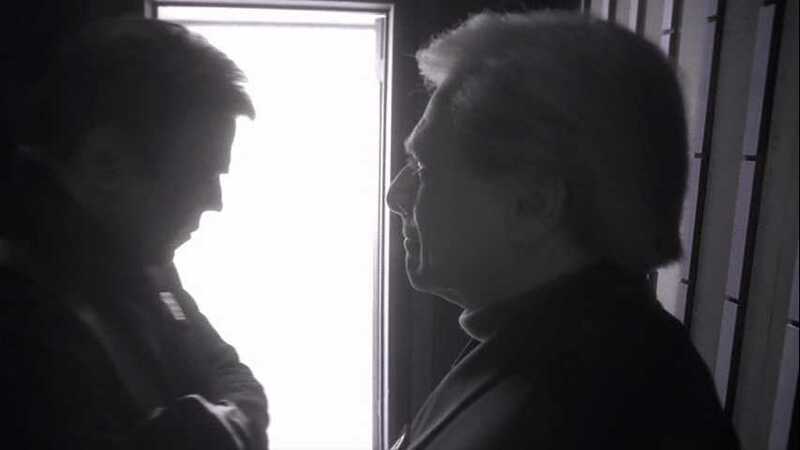 how JMS has enough stories "in the box" to "reboot the B5 series", "redo the B5 series", etc. The pilot "The Gathering" was rendered by eight interconnected Amiga 2000 computers with Video Toaster boards which were connected to an IBM computer that stored the images in five gigabytes of memory. Foundation Imaging's computational power has increased tremendously with each work station now being equivalent to the original eight Amigas and Ron's being the equivalent to sixteen Amigas. "We don't use expensive silicon graphics machines. We don't use high-end software. Initially all the 3-D computer animation was done on Amigas using the Video Toaster. Today, however, all the 3-D computer animation is done on PC clones and DEC Alpha platforms running on a readily available piece of software called LightWave 3-D. LightWave was originally part of the Video Toaster, but has been ported out as a software program available for many different computer platforms. 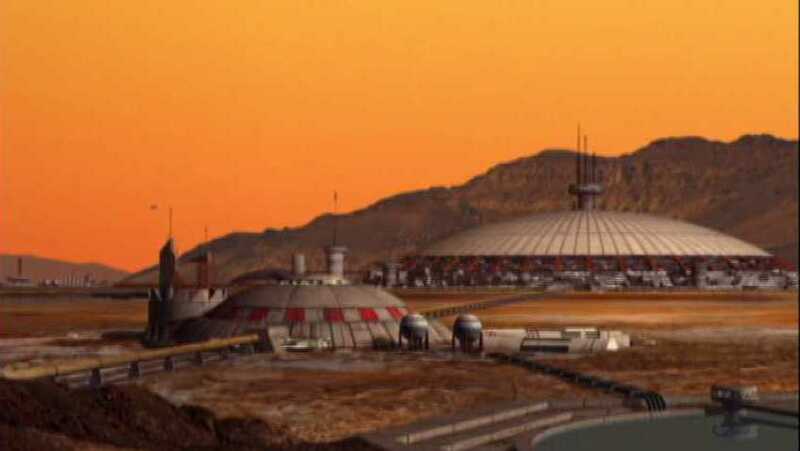 All special effects for Babylon 5 are computer generated. Foundation Imaging, headed by Ron Thornton, produced the special effects for the pilot movie and seasons one through three. Starting in season four, the special effects were moved in-house to Netter Digital Imaging, another subsidiary of the parent of B5's production company. The B5 effects teams, both at Foundation and at NDI, use Lightwave 3D by NewTek and specialized software to design and render the visual effects. For the pilot, the effects were rendered on a network of Amiga computers; later, Foundation used 12 Pentium PCs and 5 DEC Alpha workstations for 3D rendering and design, and 3 Macintoshes for piecing together on-set computer displays. The NDI team uses a similar array of equipment; see George Johnsen's comments below. CGI space scenes are clearer and have more realistic movement than model shots. 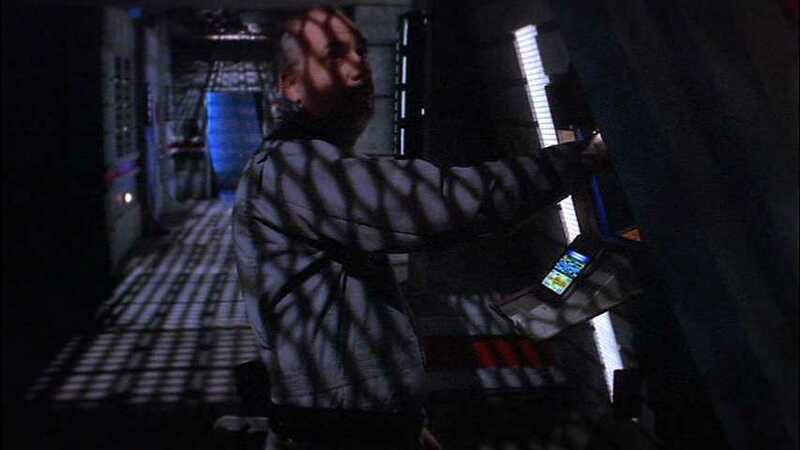 Some interior shots such as docking bays are "virtual sets" combining live action with computer imagery. Computer-generated aliens make regular appearances on the show as well. Since 2013-11 (November 2013), I've been enjoying movies and PS4-gaming on a 61-inch Samsung LCD TV. Using the marketing vernacular of today, this appliance would be known as a 2k high-def TV. I had been going through a sci-fi dry spell ever since the current season of The Expanse ended so I thought it would be kind of neat to watch one episodes of Babylon 5 every night until I've made it all the way through. which makes me wonder if "2014" might only represent the repackaging year. hi-def but space-based scenes are much better than "Babylon 5: The Complete Series"
Do you think that Sheridan really died at za-ha-doom? Do you think we can watch a second episode tonight? Be careful what you purchase. Some people accidentally order one of the numerous box set packages without B5: Crusade. On top of that, none of the Region-1 box sets include B5: The Legend of the Rangers or B5: The Lost Tales which must be purchased separately.